Barry and Mitt — Who Won? Though nobody landed a knockout blow in tonight’s debate, Mitt Romney did exactly what he wanted to do: position himself as a legitimate alternative to the president. Romney came across not as some right-wing crank but as a thoughtful, intelligent candidate who is reasonably articulate. 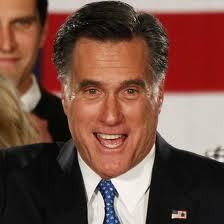 Surprisingly, Romney actually seemed more human than President Obama who came across as wonkish and overly abstract. Obama looked rusty to say the least. I expected the President to play defense but he seemed downright tentative at times. His body language suggested that he really didn’t want to be there. On the split screen, he rarely looked at Romney. He also had many more verbal tics than Romney — more hemming and hawing and umms. He also said “I tried” far more often than necessary. “I tried to do this”, “I tried to do that”. It seems to me that the President of the United States should say “I did” more than “I tried”. He seemed apologetic rather than confident. As several commentators have mentioned, this was a “wonkfest”. The satirist, Andy Borowitz, suggested that we join him in watching the Weather Channel — much more interesting. Twitter lit up with discussion about whether Romney would really kill Big Bird. Twitter was almost universal in criticizing Jim Lehrer. More than one Twitter commentator asked if he was a replacement ref. I found Intrade much more interesting to follow than Twitter. The last time I wrote about Intrade (back in July) the prediction market gave Obama a 56.2% chance of being re-elected. Since the conventions and various mis-steps by Romney, the market has trended toward Obama. Last week, Intrade betting predicted an almost 80% chance of Obama winning. The line started to drift back during the week and was in the low 70’s when the debate started. As the debate got under way, Obama’s stock started to fall and stayed down. I checked a few moments ago and Obama’s chances had dropped to about 66% — down almost 6% for the day. Clearly, the prediction markets think Romney won the debate though they’re still saying that Obama has a 2/3 chance of being re-elected. I’m sure Obama will be sharper in the next two debates but Romney has shifted the dynamic and given his campaign a lift. Now the race is on.